Are you experiencing pain and discomfort from varicose veins? If so, you’re not alone. These blue or dark purple veins not only mar your appearance, they can also cause itching and burning sensations. 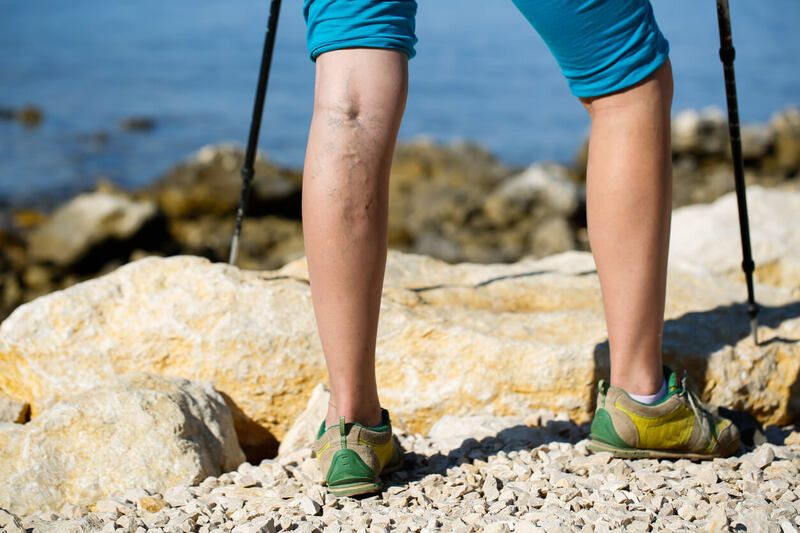 People get varicose veins for a number of reasons. They occur when the one-way valve inside a vein gets weak and allows blood to actually flow backward. As this blood accumulates, the vein enlarges and gets swollen, leading to the familiar site of varicose veins. Before you make arrangements for removal, it’s a good idea to know common reasons for why individuals eventually develop varicose veins. Do you have to stand or sit down for long periods because of work or school? Standing at a job is tough on your feet and legs and is a major risk factor for developing varicose veins. Do your best to stretch your legs periodically, getting up at least once per hour from your desk or sitting down to take a break from standing. As individuals grow older, it’s more likely that they will contract varicose veins. Ordinary wear and tear on the vein valves can lead to varicose veins forming, even if you don’t stand or sit all day long. Women are more susceptible to getting painful varicose veins than men. Pregnancy is a major cause of this problem. For one, women have more blood circulating through their body during pregnancy, which leads to higher blood pressure. What’s more, natural hormone level fluctuations during pregnancy can tend to relax the walls of blood vessels, furthering the risk of varicose veins developing. Men and women who have excessive body weight are at greater risk for getting varicose veins than thin people. Losing weight by improving your exercise and nutrition habits can help you avoid getting varicose veins. If your parents, grandparents, or other relatives have had varicose veins, chances are higher that you will get them too. Being aware of the genetic tendency to get varicose veins can motivate you to lose weight as well as modify how much you stand or sit, going forward. The specialists at Metropolitan Vein and Aesthetic Center is standing by to help you with your painful varicose veins. For more information about why people get varicose veins or to make an appointment for treatment, please call us at 914-295-2202 today.